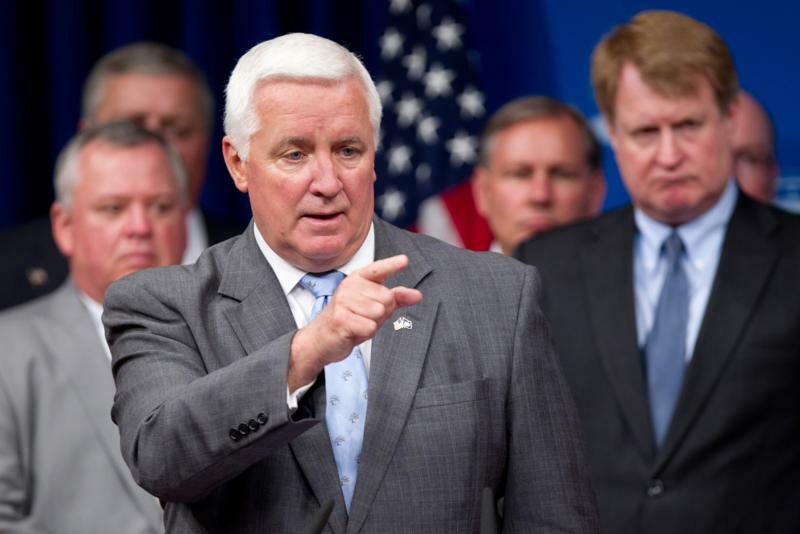 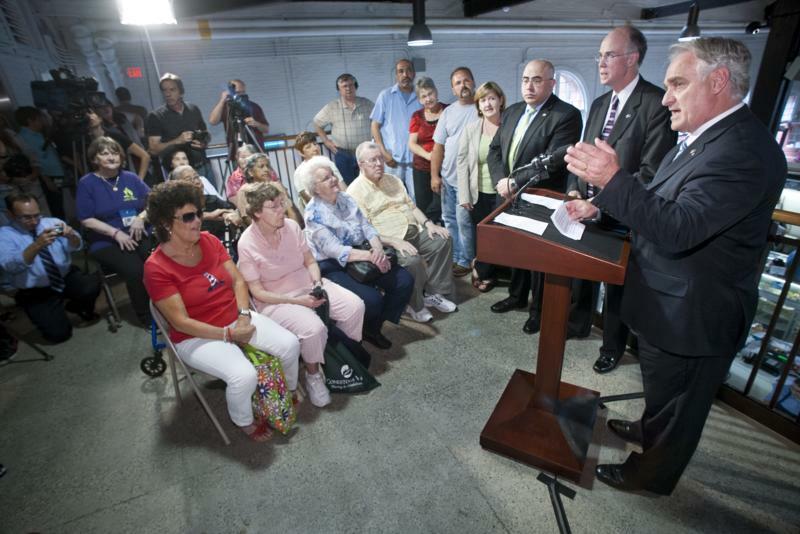 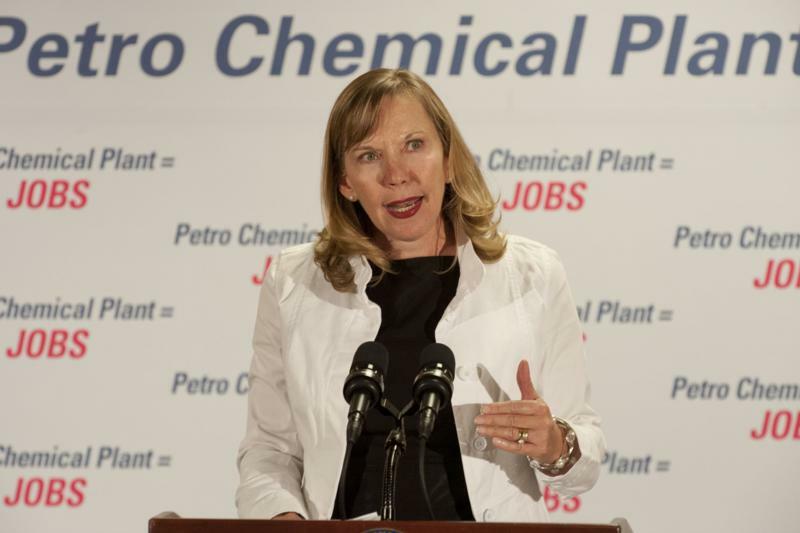 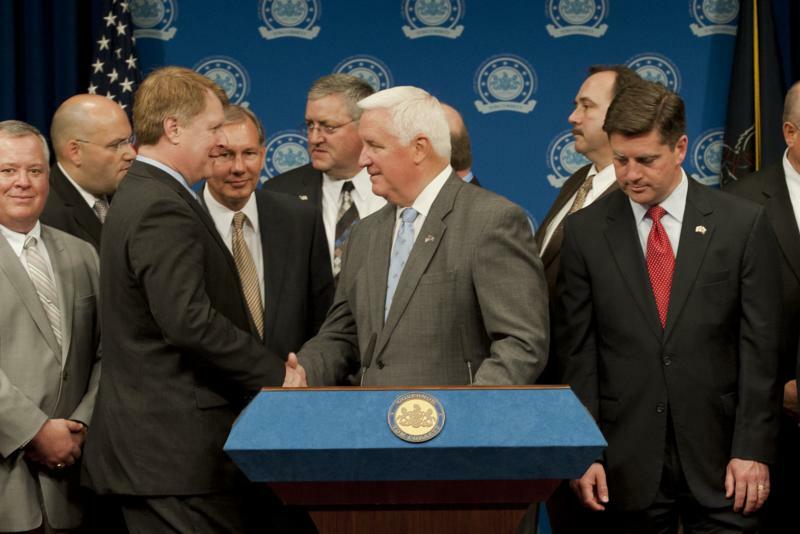 Harrisburg - Governor Tom Corbett was joined today by members of his cabinet, elected state officials and representatives of labor and business to highlight the importance of bringing a petrochemical complex to Pennsylvania. 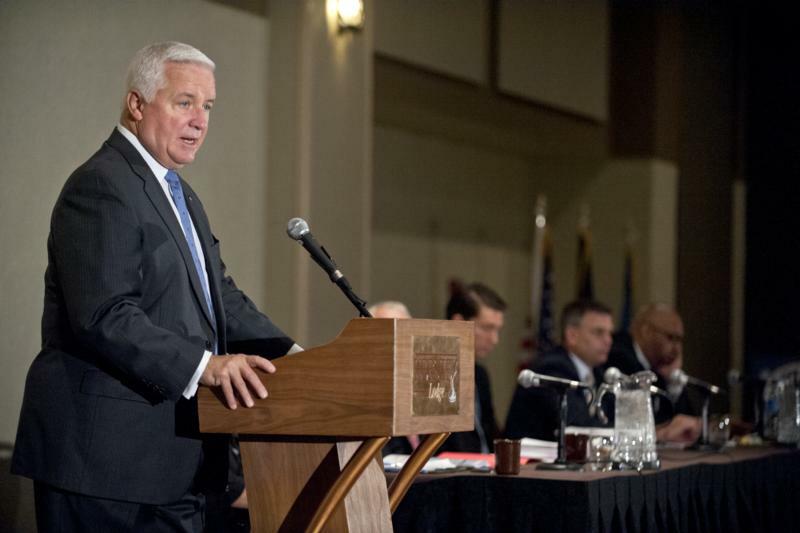 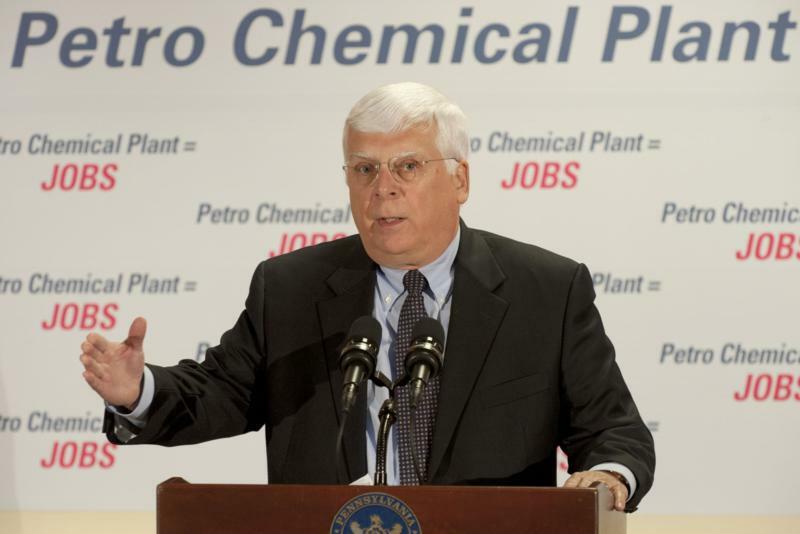 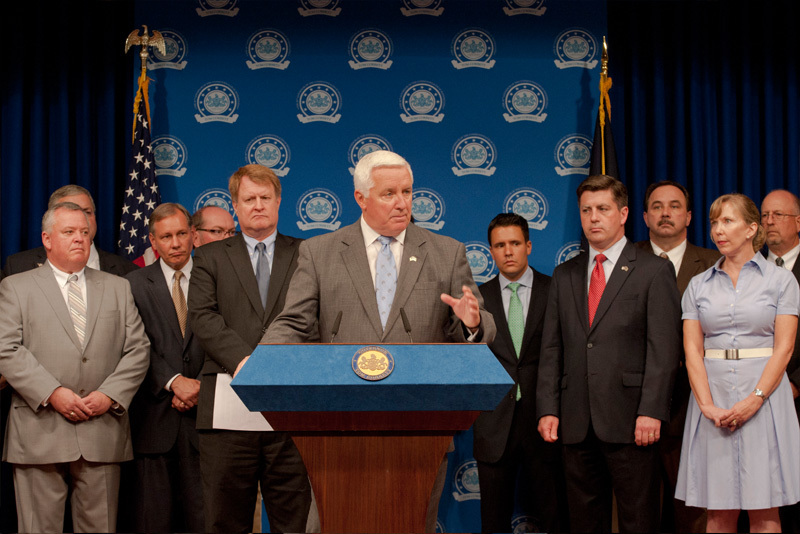 Governor Tom Corbett was joined today by members of his cabinet, elected state officials and representatives of labor and business to highlight the importance of bringing a petrochemical complex to Pennsylvania. 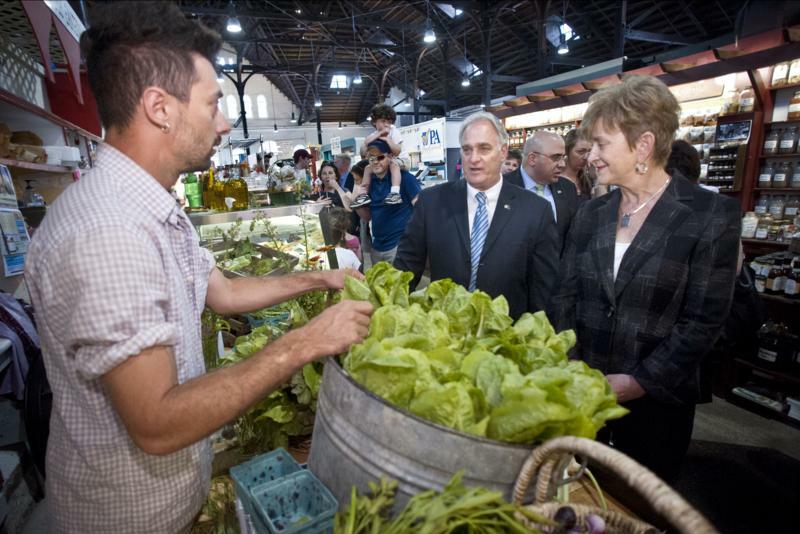 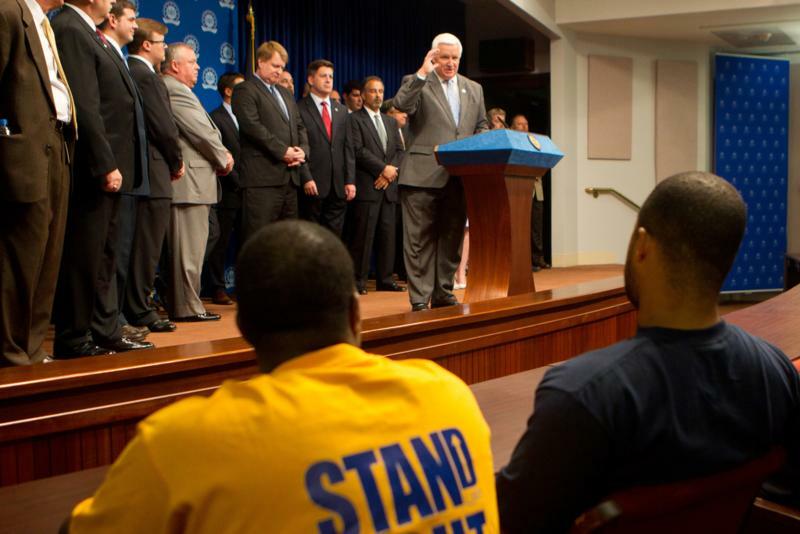 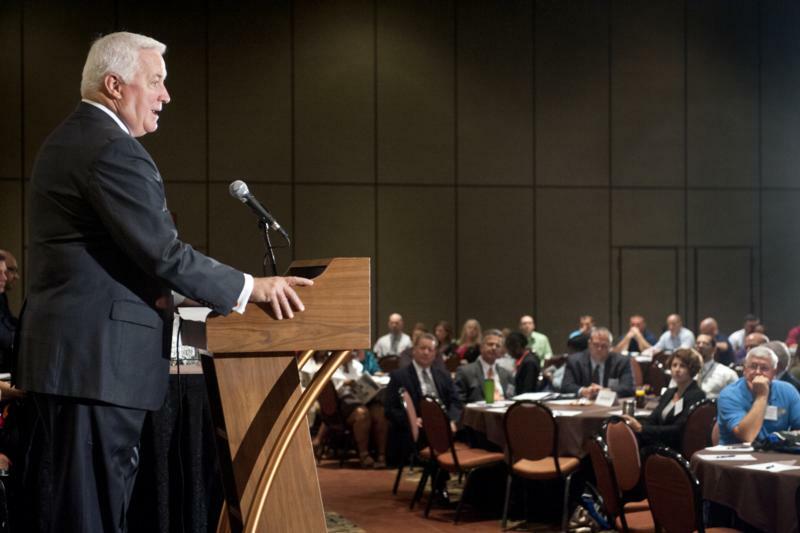 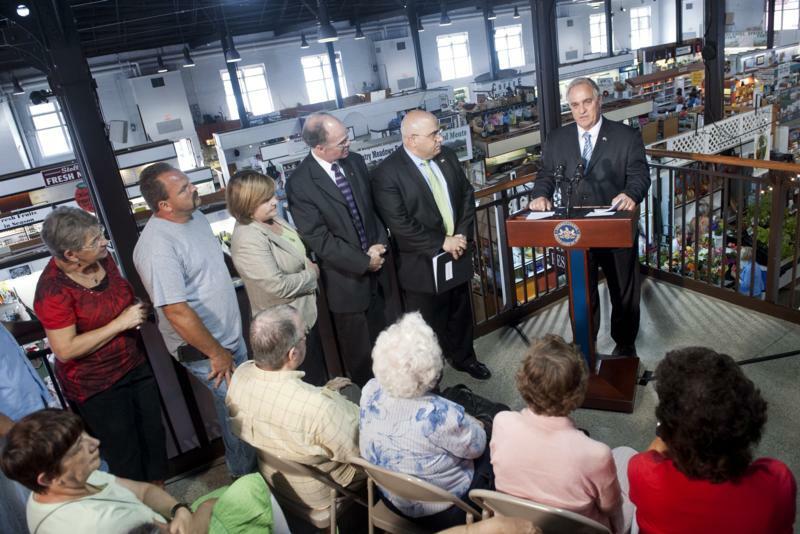 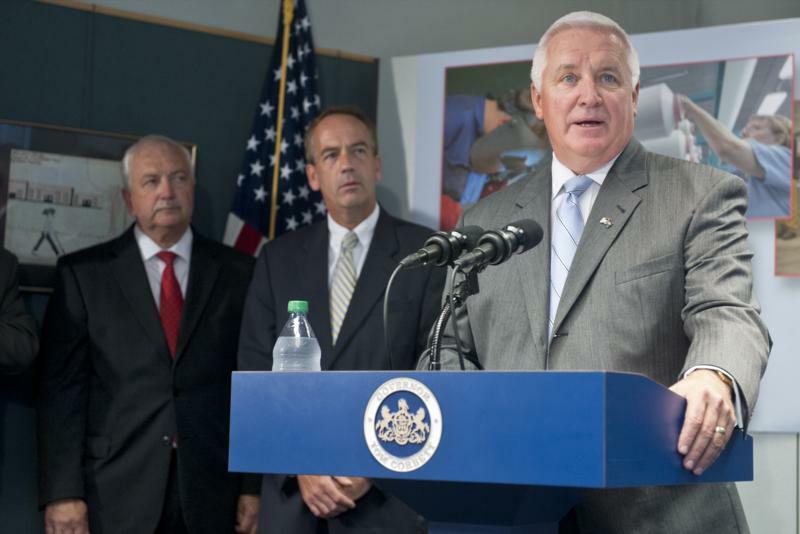 New efforts to make Pennsylvania's criminal justice system more effective. 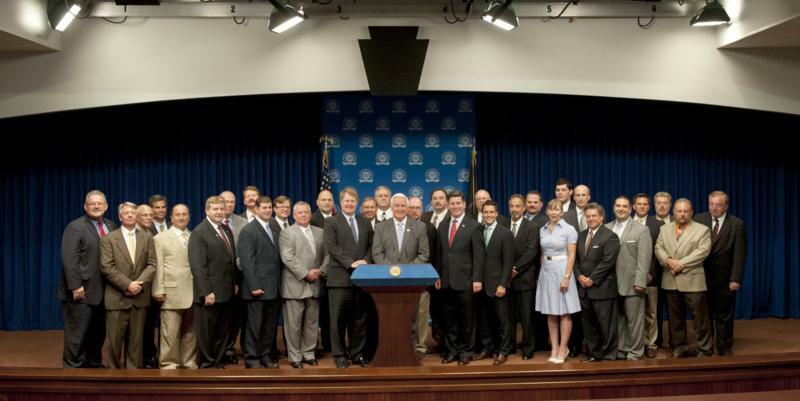 Members of Gov. 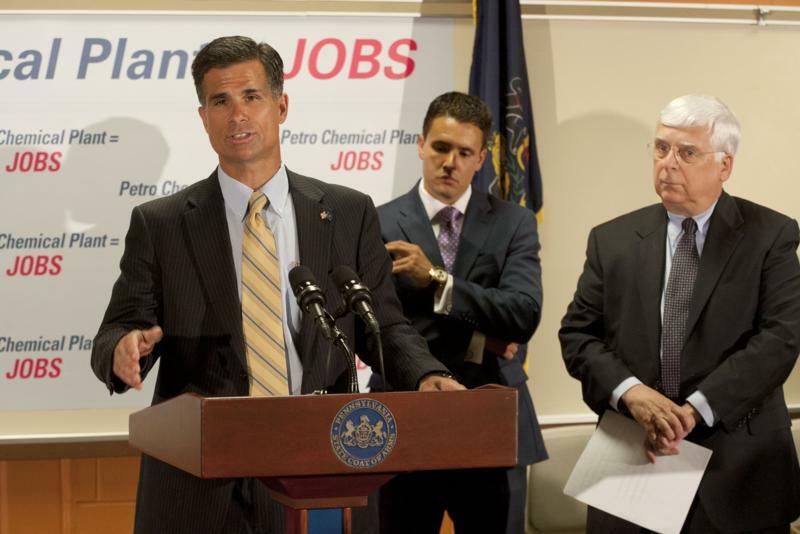 Tom Corbett's Cabinet were joined by a coalition of supporters today to discuss the importance of bringing a petrochemical complex to Pennsylvania that would create more than 10,000 construction jobs and up to 20,000 permanent jobs in spinoff production and manufacturing industries. 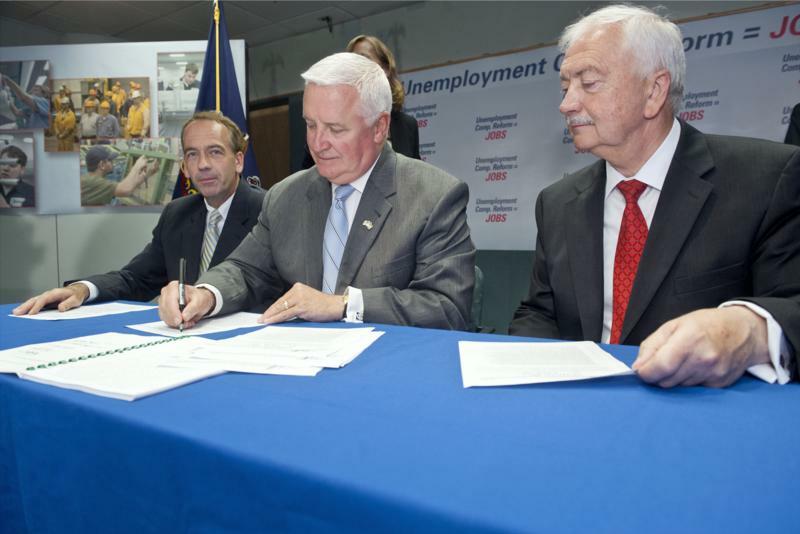 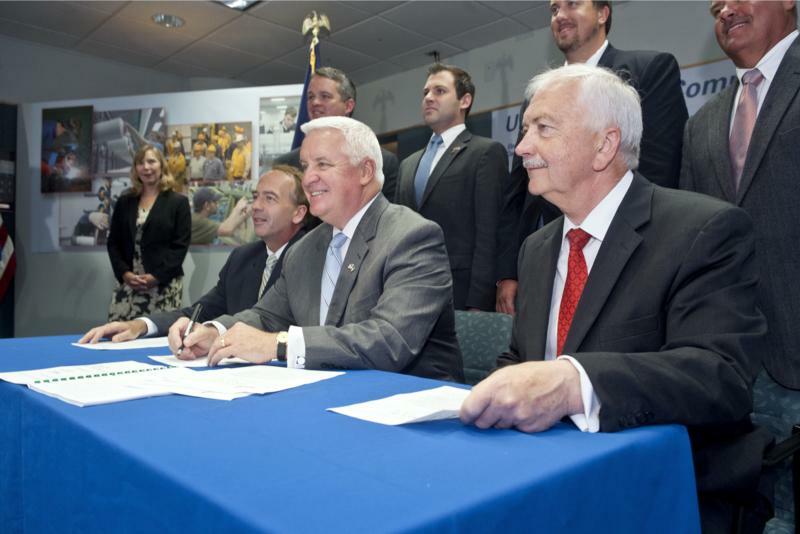 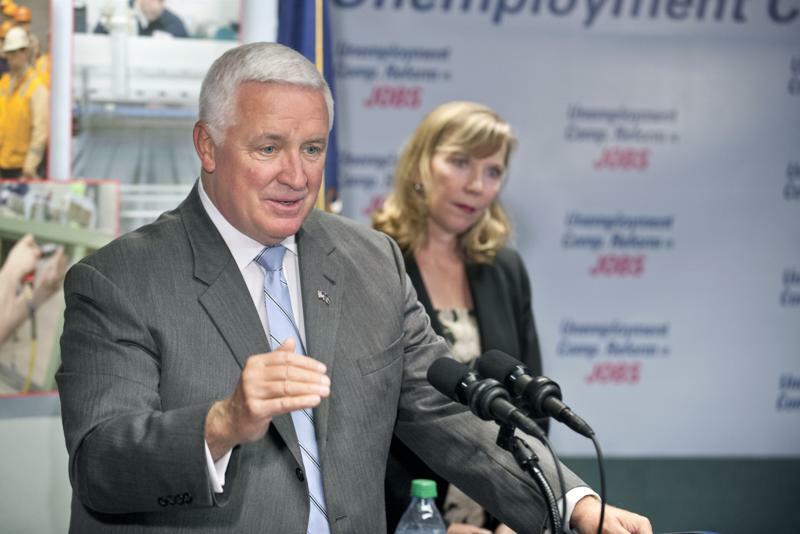 Governor Tom Corbett today signed Senate Bill 1310, a reform bill that modernizes Pennsylvania's Unemployment Compensation, or UC, law. 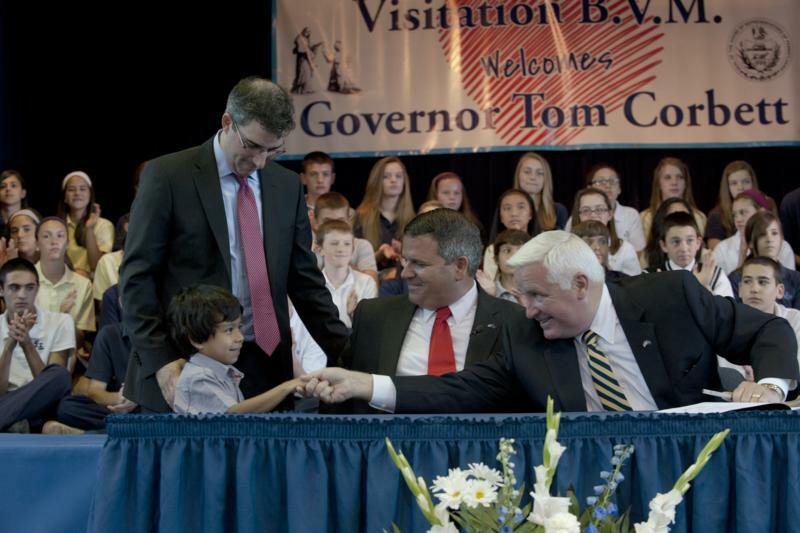 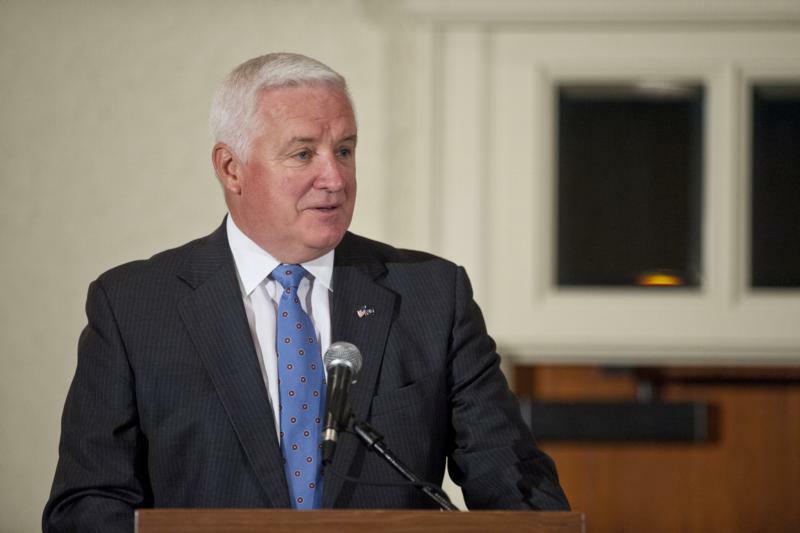 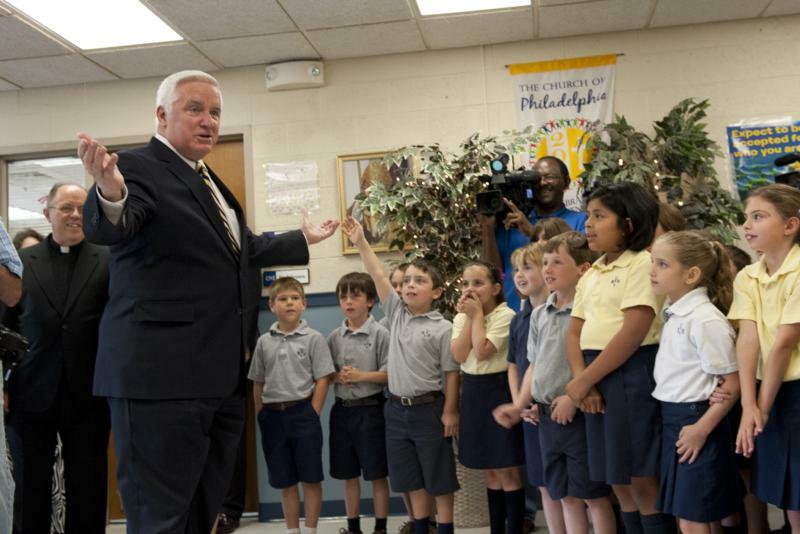 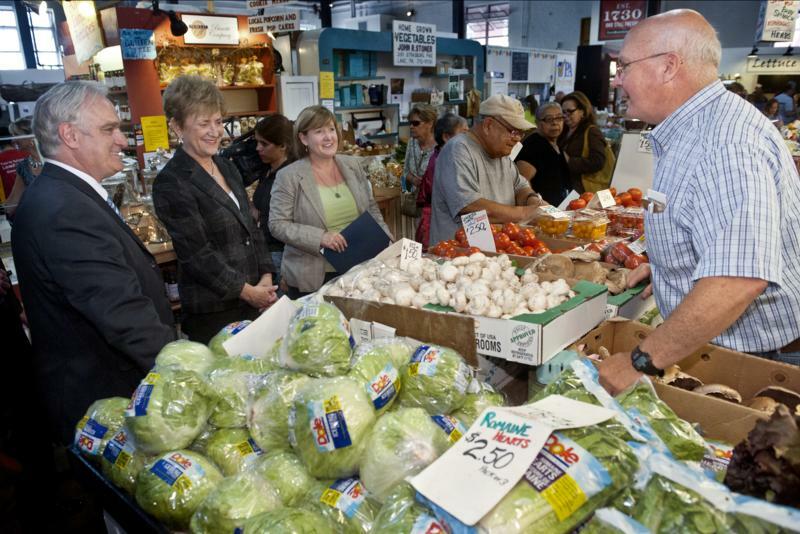 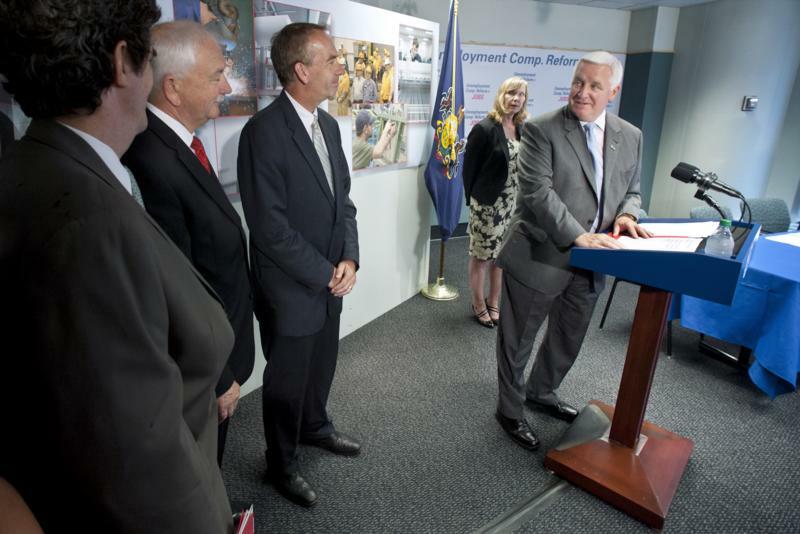 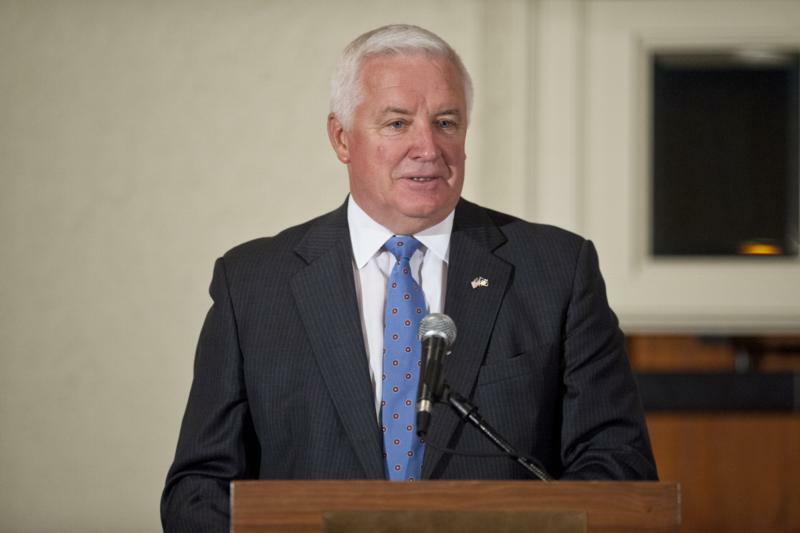 Governor Tom Corbett received the Distinguished Citizen Award from the Boy Scouts of America, Cradle of Liberty Council. 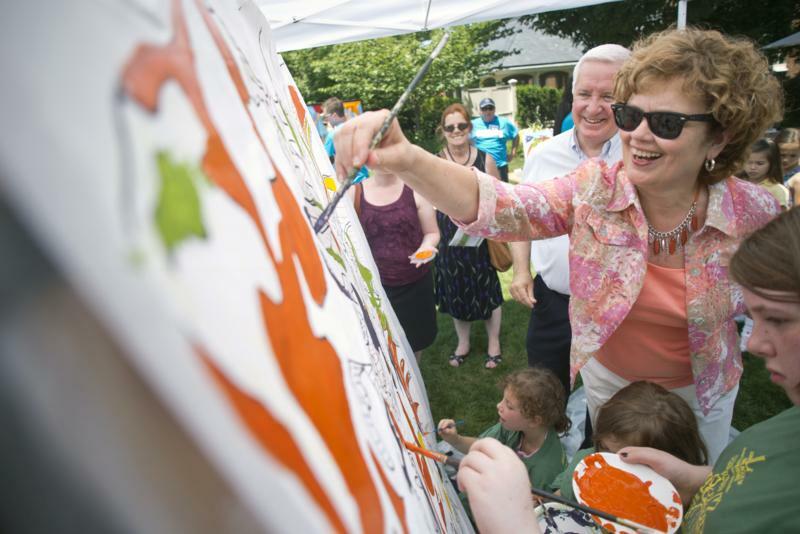 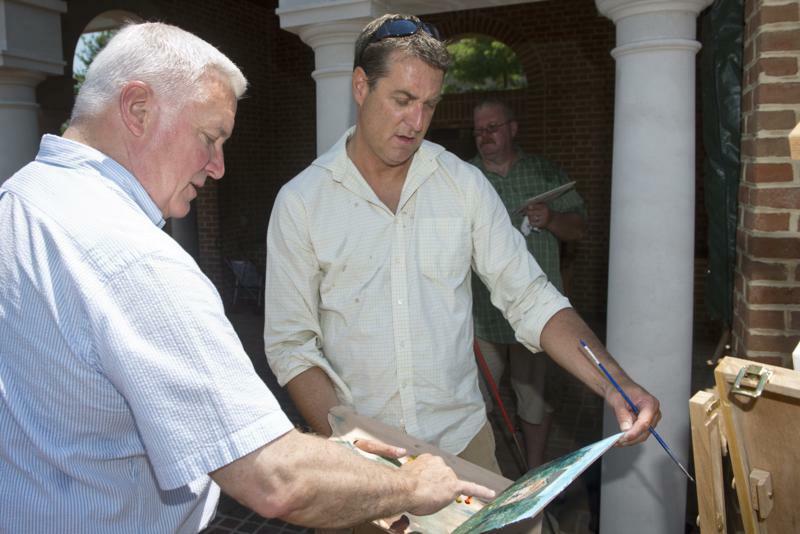 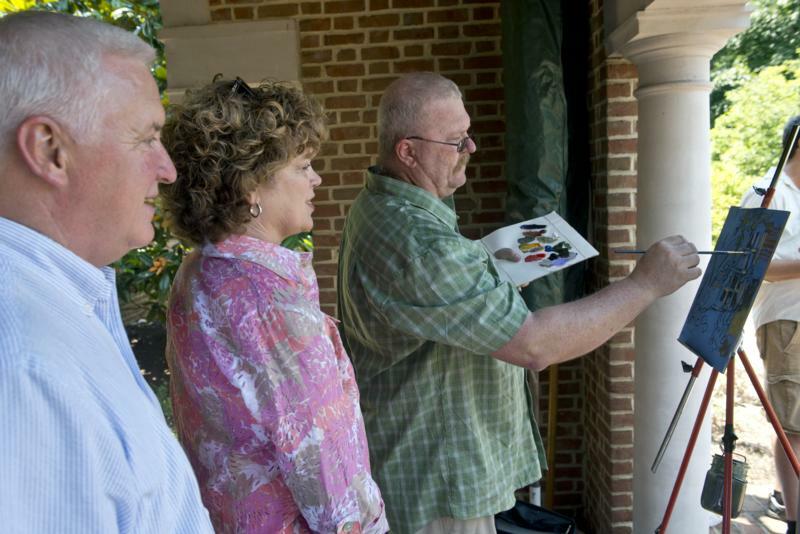 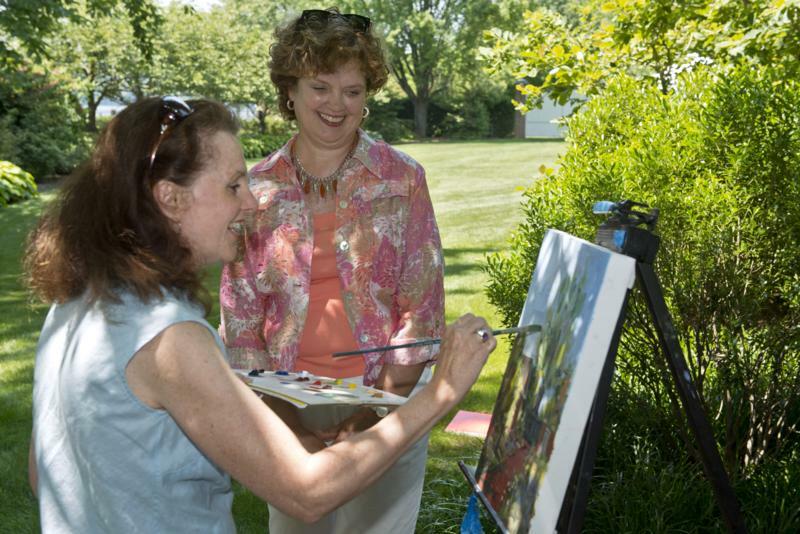 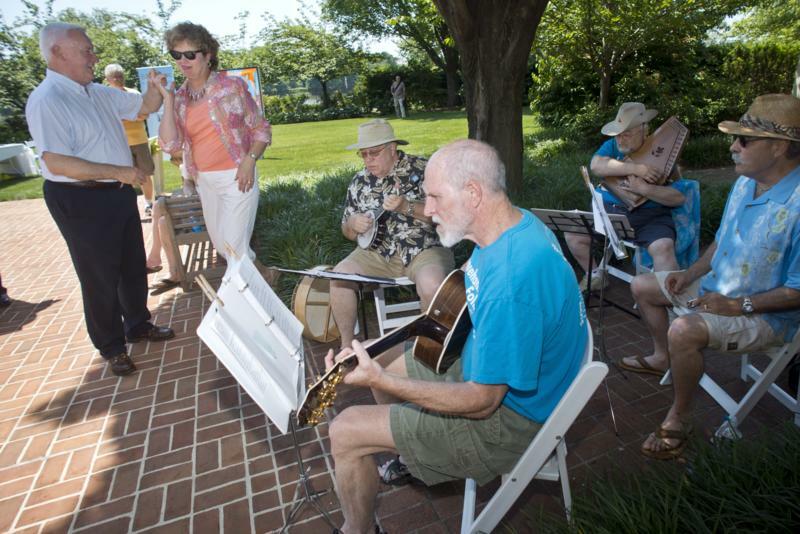 Pennsylvania First Lady Susan Corbett today welcomed hundreds of visitors to the Governor's Residence as part of the second annual "Arts in the Garden" open house, which allowed people to tour the home and gardens while enjoying the work of a variety of performing artists. 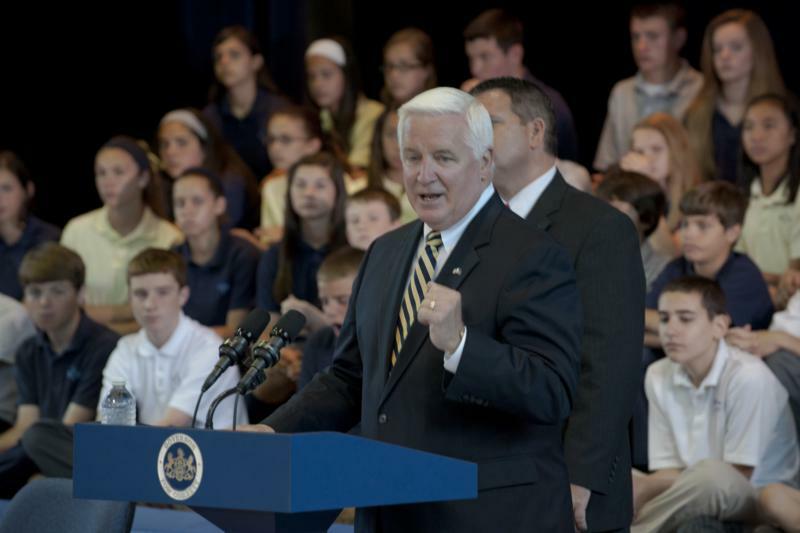 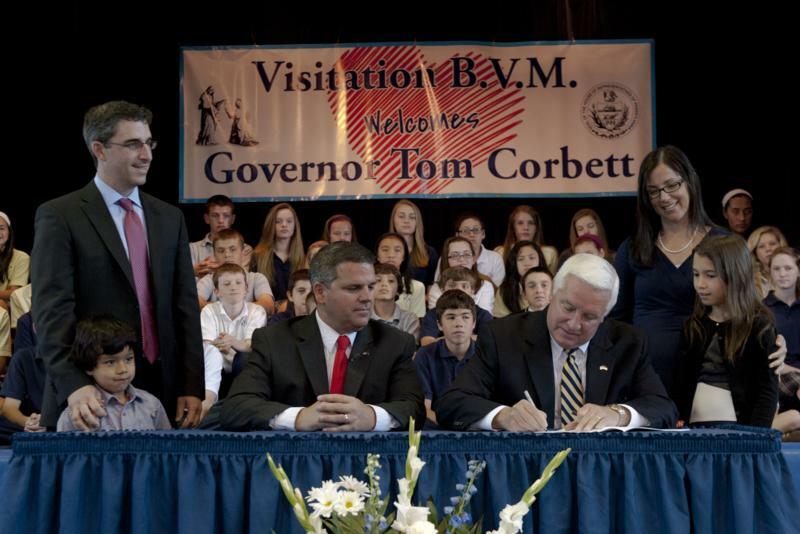 Governor Tom Corbett today signed House Bill 1610, which sets new guidelines for protecting Pennsylvania's student athletes from Sudden Cardiac Arrest (SCA). 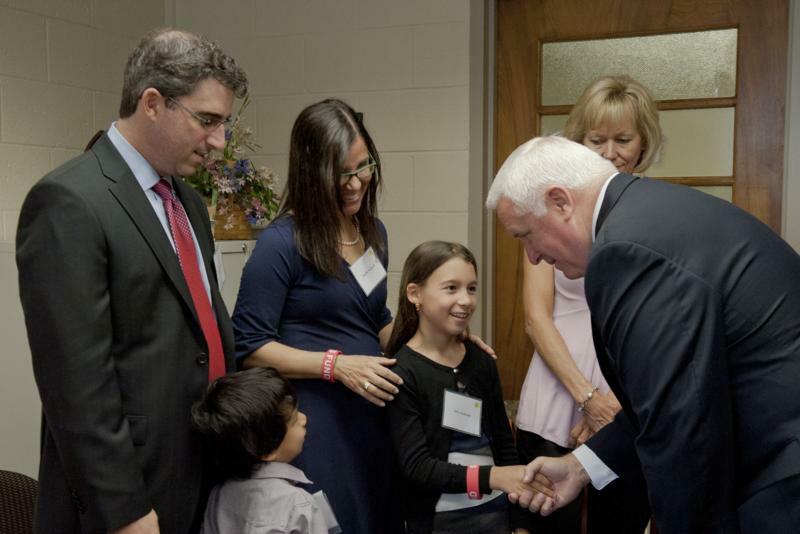 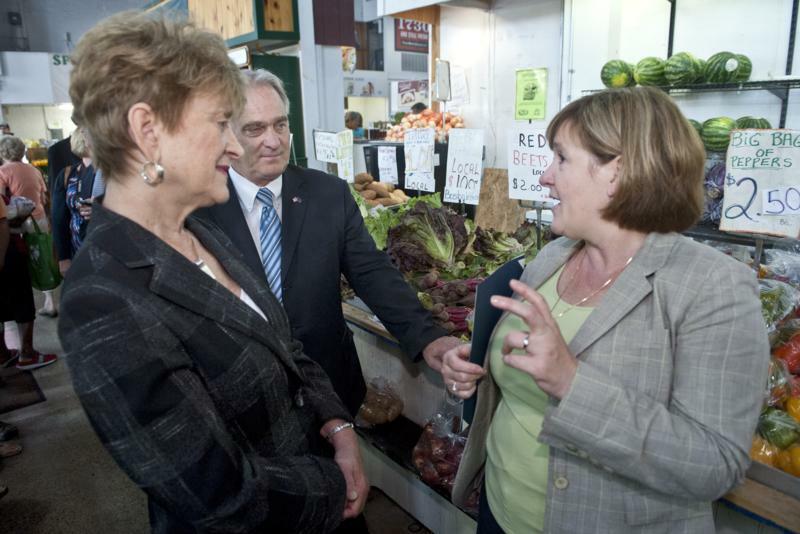 SCA happens when the heart stops beating suddenly and unexpectedly. 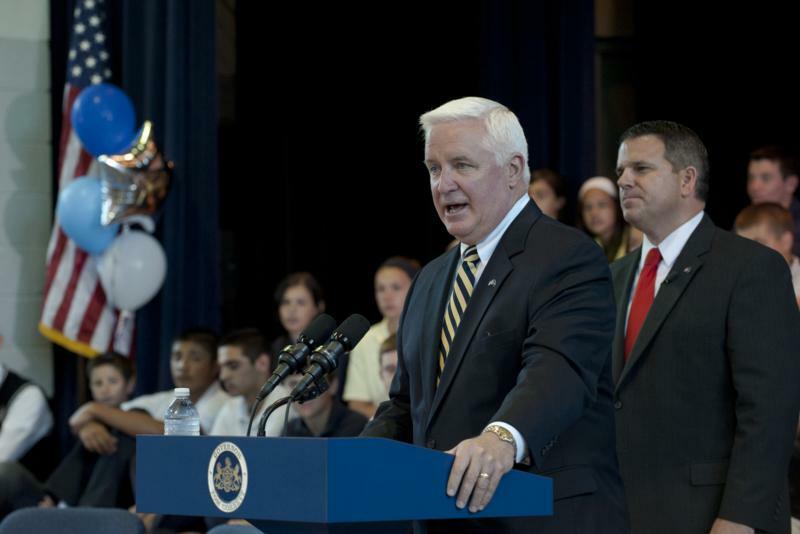 It is the number-one killer of student athletes, claiming up to 7,000 young lives each year, nationwide.